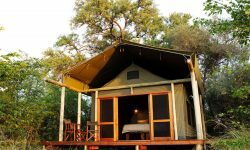 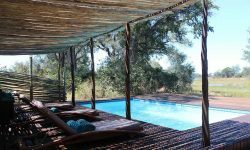 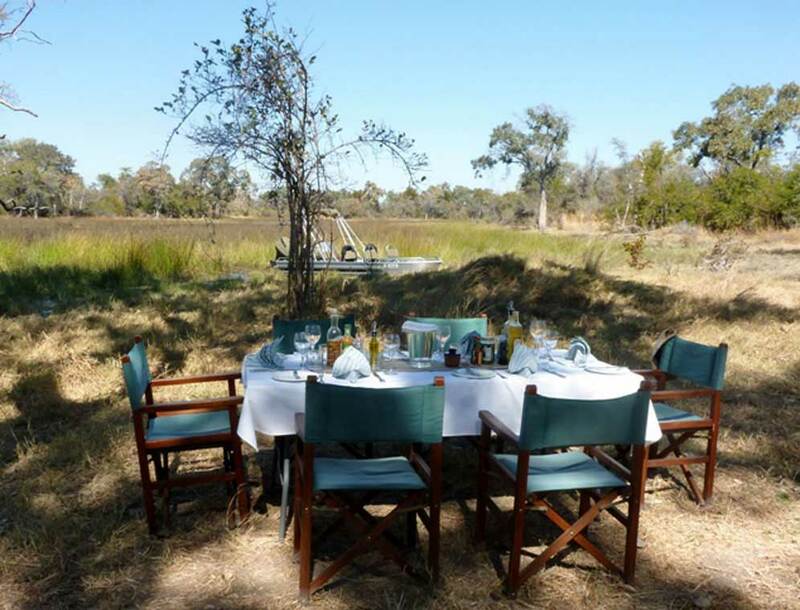 Motswiri Camp is located on the banks of the spectacular Selida Spillway, an ancient watercourse linking the Okavango and Kwandi- Linvanti floodplains. 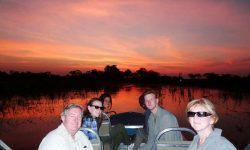 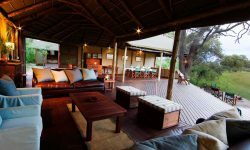 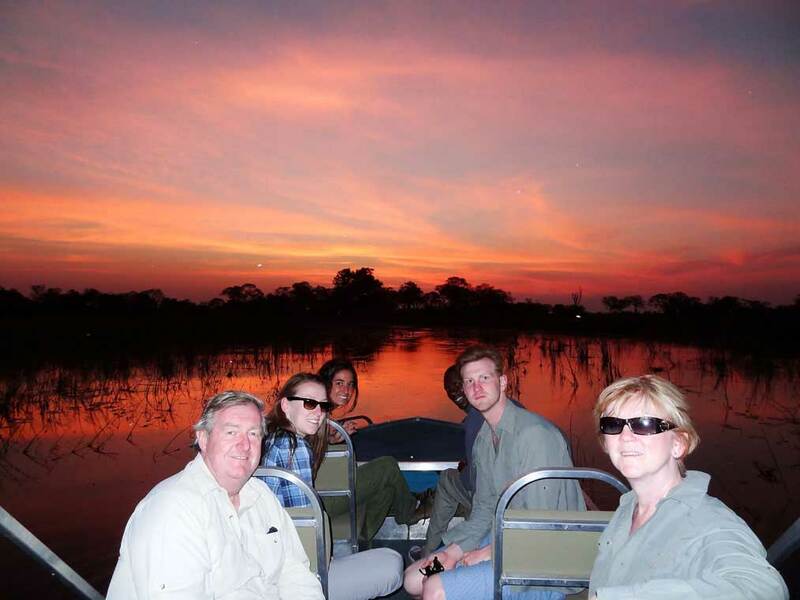 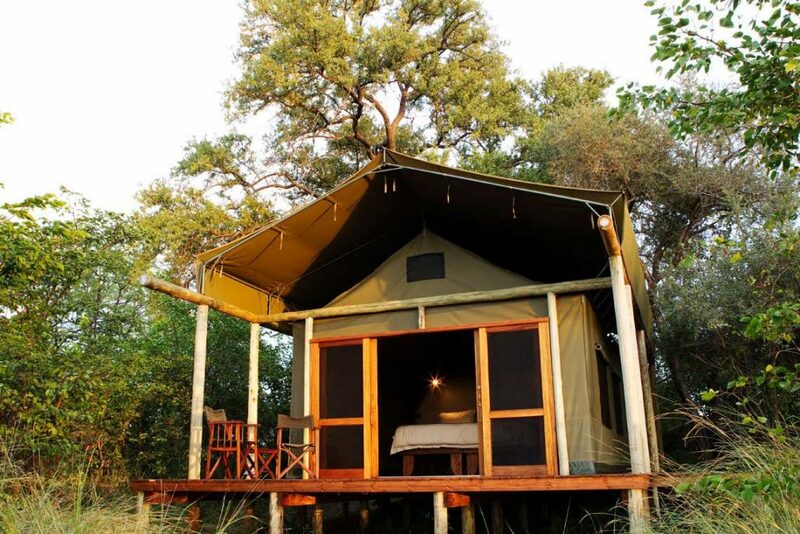 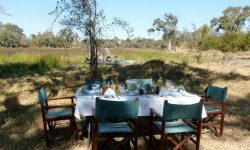 The reserve combines the open floodplains of the Okavango Delta to the immediate wet and north of the camp with riverine forests lining the Spillway to the east. 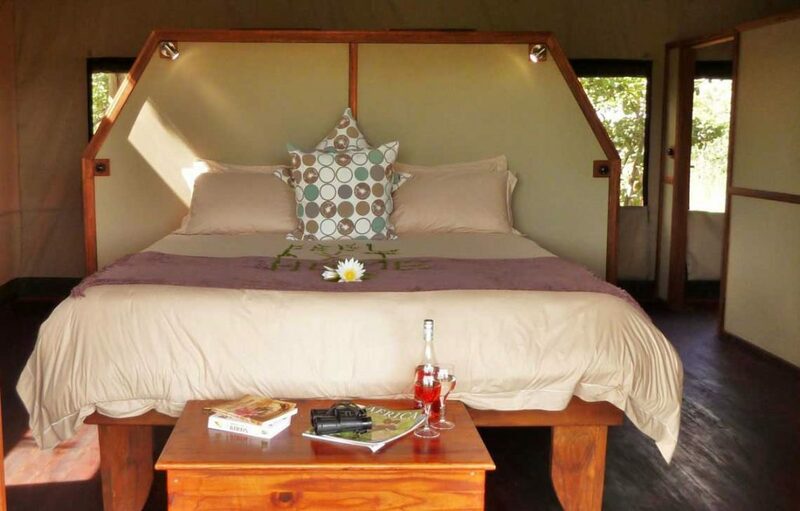 The camp operates exclusively over thr 120,000 pristine acres. 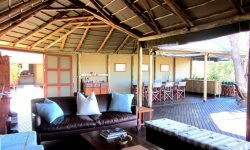 During the dry season, longer safaris can include a ride out to the rustic fly camp where you can explore the remote areas of the park. 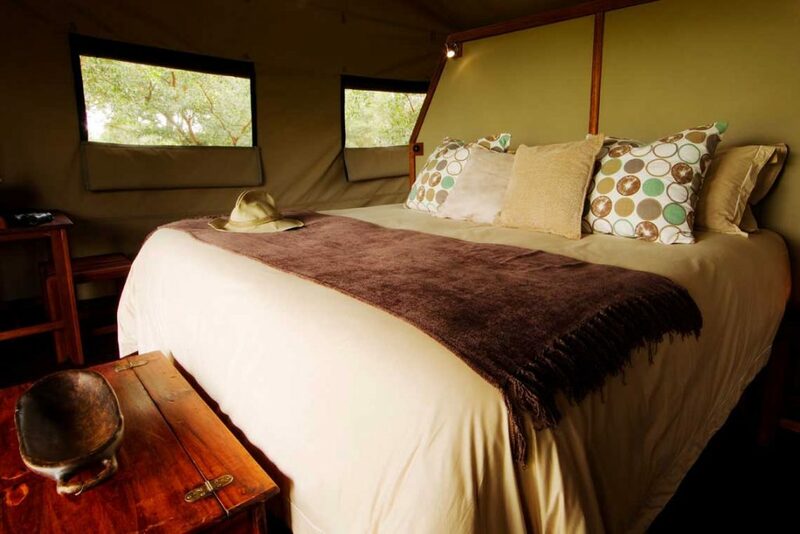 The camp is a small and personal camp, stylishly comfortable. 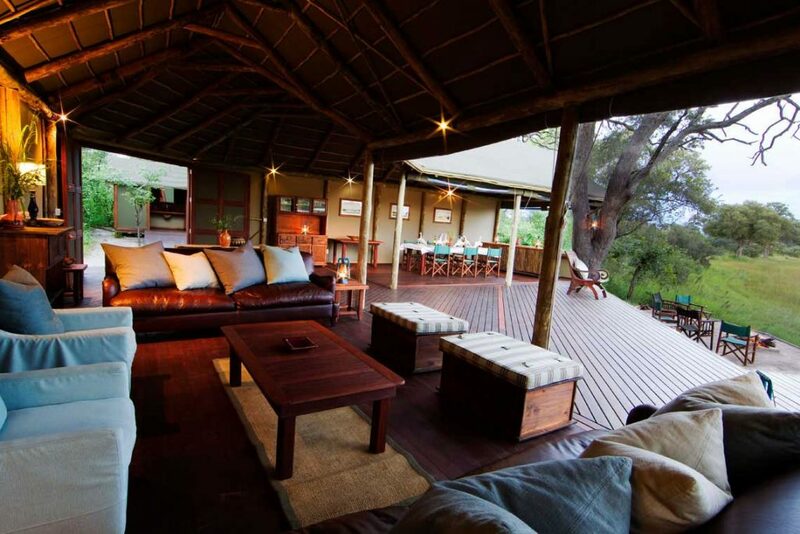 It meets the environmental standards and is largely solar powered. 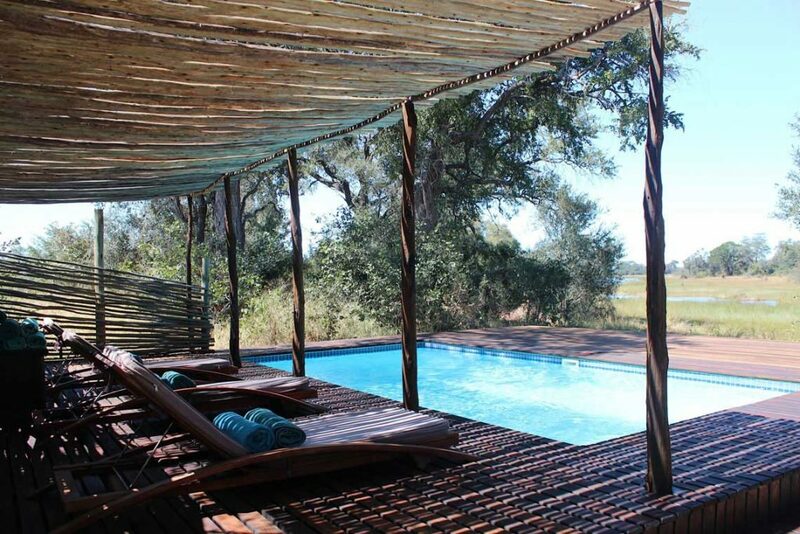 The central mess has a large seating area and has its plunge pool when days are hot. 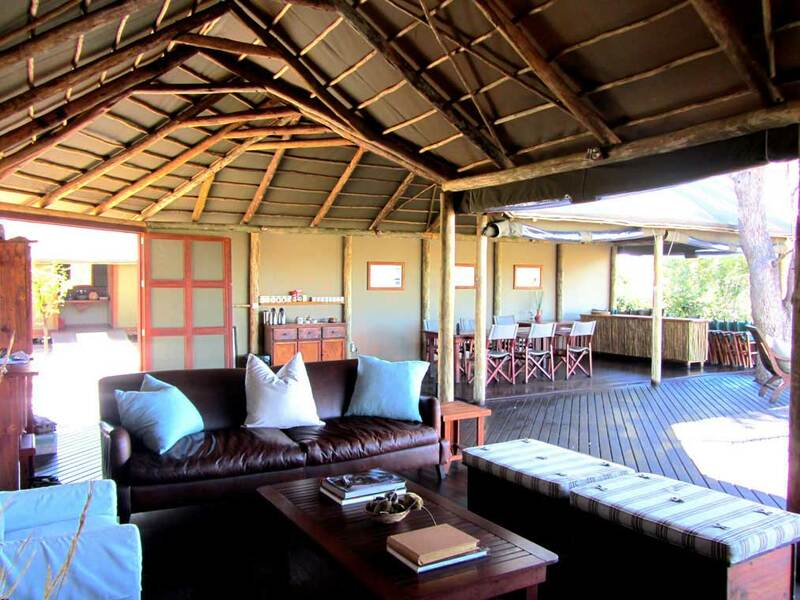 There are 5 airy tents, spaced well apart and each has its own self – contained shower, loo and large decked verandah. 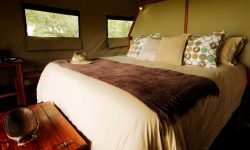 A specially designed tent is available for families.